Anyone that knows me, is aware of my obsession with cupcakes. As the famous song goes, when I’m feeling blue…all I have to do is…take a bite out of a cupcake! I don’t mess around when it comes to cupcakes. 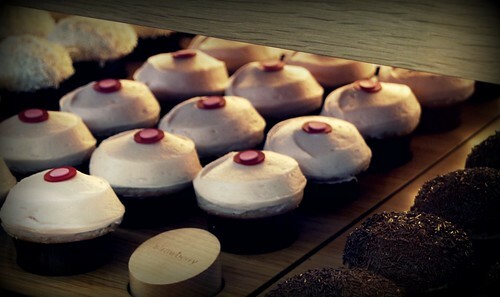 I have been known to wait in line for up to an hour just to get some Red Velvet from Sprinkles! And I have also managed to convert some of my friends into being believers. 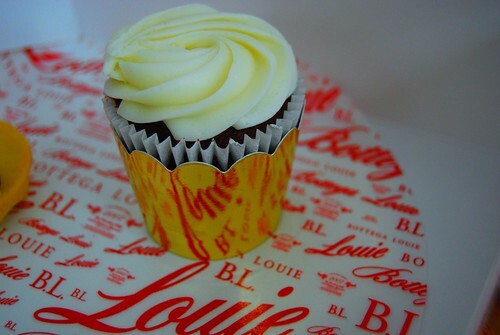 When it comes to cupcakes, I always like to try new places because you never know when you will find a good one! 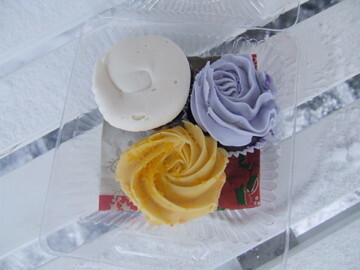 Last winter, I had some cupcakes from a cute little shop in Banff, Canada called the Cozy Cave Bake House . It was definitely a different experience, considering it was -30 degrees and snowing. However, this experience proved to me that it is never too cold to enjoy an excellent cupcake! Not only were the cupcakes wonderful, but the shop is adorable too. Like walking into a fairy tale. Pure bliss! Seriously, if you ever find yourself in Banff (which is a dreamland in itself) be sure to stop by this place! Its on Bear St. You can’t miss it! Great, now I wish I was there…how many more months until December? Oh, and yes…that’s actual snow on a bench located outside of the shop. I’ve had many cupcakes throughout Los Angeles (these are from the OG Farmer’s Market at the Grove) and I always tend to gravitate towards the red velvet. 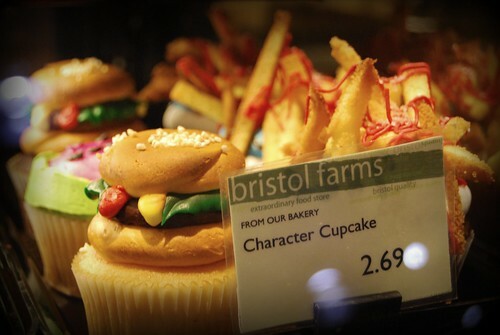 These are from Bristol Farms in Valencia. Definitely cute to look at! 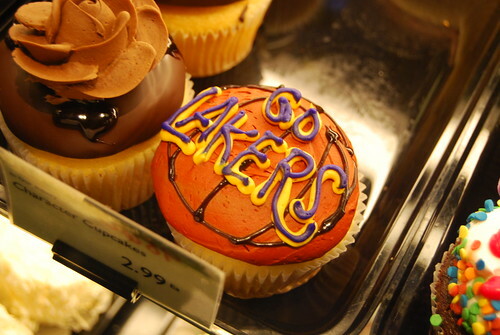 I’m sure you can’t find “Go Lakers!” cupcakes all across the country right? Definitely must be an LA thing. These are also from Bristol Farms in Valencia, and even though I didn’t actually try one, I thought they were just the cutest cupcakes ever! So much detail! Apart from my previously mentioned one time freebie pajama/linen shop sample cupcake and any flavor at Sprinkles, my next favorite shop is Bottega Louie. Although smaller than your typical cupcake, these are full of that red velvet flavor (not just food coloring). Even the frosting is perfection! And I believe these are only $2 each! The little gold wrapper just adds to the whole vibe of the place. 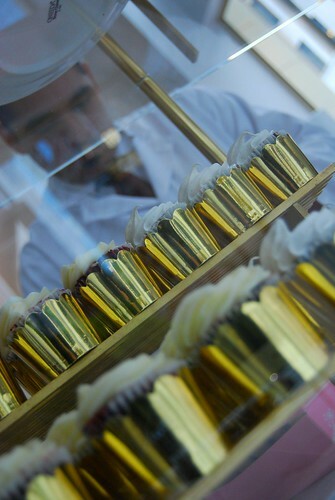 I love these little cupcakes (and all the pastries at Bottega Louie) so much! Thank you so much for trying my cupcakes! I’m glad you enjoyed them. Just so you know, the name of my company is Kupcake Kitchen (not Kreations :)). I am building my business and appreciate you mentioning me in your blog. Thank you very much. Keep watching for our daily flavors. Today it’s chocolate chip :). Check out my Web site to view my specialty creations. 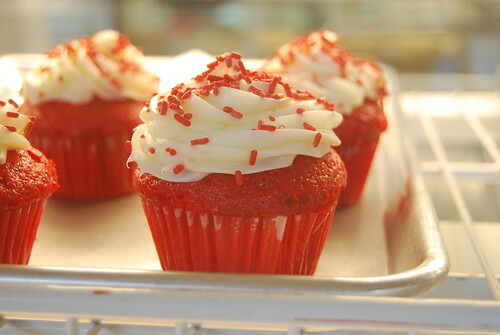 Have you tried the cupcakes at Buttercake Bakery in West LA? Their red velvet cupcakes are fantastic. Their carrot cake is divine. No, but now I must try them! Thanks for the heads up! Sam’s Club!!! They have cupcakes now. I don’t think you’d like them but they were much better than I expected. You have to try Mommies Poppies. In Castaic. The New Patios at the Westfield Valencia Mall!